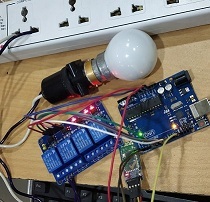 In this project, we are going to build a home light controlling system using the Bluetooth network. In this project, we use Bluetooth Module HC-05, Arduino Device, 4 Channel Relay module, etc. 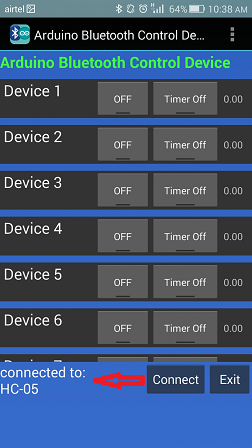 In this project, there are four main components used: Android smartphone Bluetooth application, Bluetooth transceiver, Arduino device, and 4 Channel Relay module. 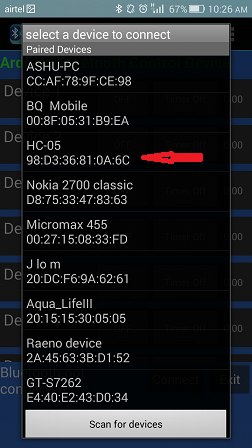 The Android app sends the serial data to the connected Bluetooth Module HC-05 by clicking ON button. The Bluetooth device receives the data from the app and sends it through TX pin of Bluetooth module to RX pin of Arduino. The Arduino device read the input data and process it according to program uploaded inside it and generate the output to 4 Chanel Relay Module. 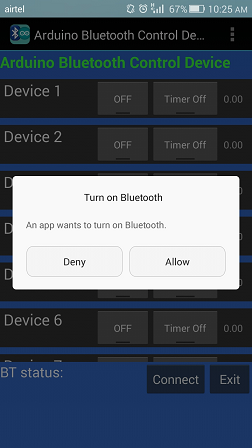 When the Bluetooth application's button turns ON, it sets the home light ON, and when the Bluetooth application's button turns OFF, it sets the home light OFF. Write an Arduino program to control the home light using Bluetooth Module, 4 Chanel Relay Module with Android application. 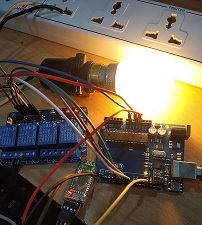 Compile and upload your code into the Arduino device using Arduino USB cable. 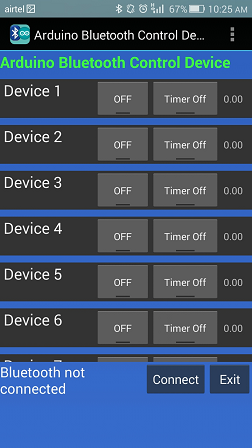 While uploading code doesn't connect other devices with Arduino. Connect common-point (com) of Relay Module with home light. Connect normally-close (nc) of Relay Module with power. Connect remaining one home light wire with the power source.